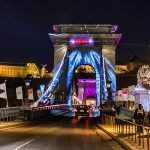 As the foundation stone of the first bridge reaching over the Danube in the Hungarian capital was laid down 175 years ago, on August 24, 1842, PestBuda has collected ten of the most interesting moments in the history in connection with the Chain Bridge. 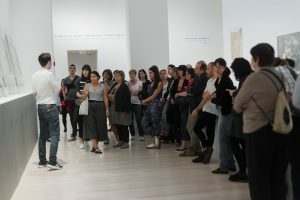 The descriptions are accompanied by photos from the actual events, provided by Fortepan. 1) This photograph from 1873 (this is when Buda and Pest were united), was taken from the coronation hill, which used to be at Széchenyi square. This hill was brought into being when Franz Joseph was crowned King of Hungary, in 1867. 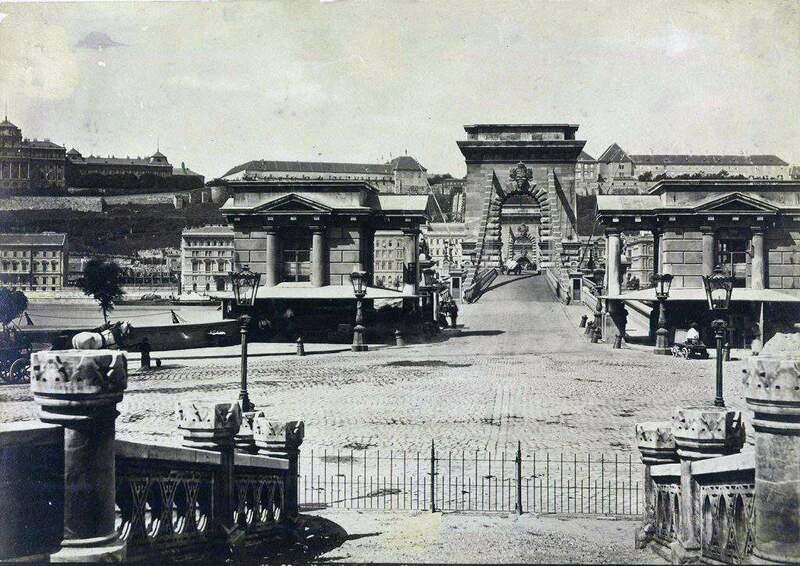 You can spot the bridge’s original toll booths on the two sides of the road, and the Royal Palace in the background, awaiting reconstruction and expansion. 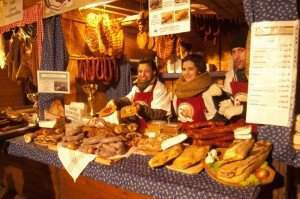 The construction of Várkert Bazaar began on that empty lot in 1875. 2) There are a lot of interesting things crammed into this 1894 stereogram. The first you might notice is that the horse carriages are using the left side of the bridge to cross it. 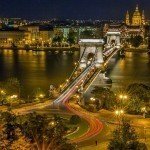 The right-side custom was introduced in Budapest only in the 1940’s. The other one you should be looking for is at the bottom of the photo: the cobbled street shifts into wood paneling, as it was wood that covered the Chain Bridge, until 1919. 3) We’re still in 1894 when hats were men’s indispensable accessories, and walking canes were still fashionable. 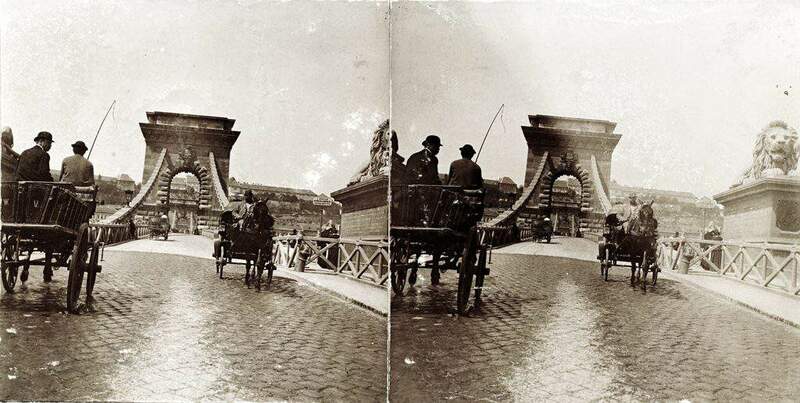 There is something odd about this picture, but it is not the men heading towards the used-to-be Franz Joseph, then-became Roosevelt, and today-is Széchenyi István Square. No, it is the original handrail, which was much lighter than the version we are used to. So were the chains and the frame. 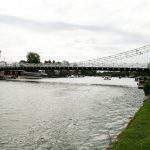 A grid similar to what we know today was incorporated only during the 1913-1915 reconstruction, as the original bridge would not have withstood the accelerated load. 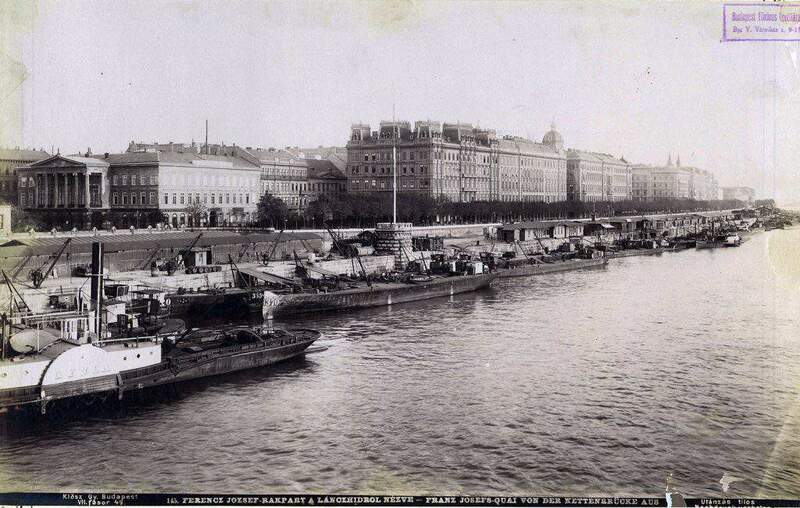 4) It is obvious from this photo from the 1890’s that the Danube bank used to be much more beautiful. These houses used to stand where the hotels are today. On the left, you’ll find the pillar- and spandrel decorated Lloyd Palace, designed by József Hild. 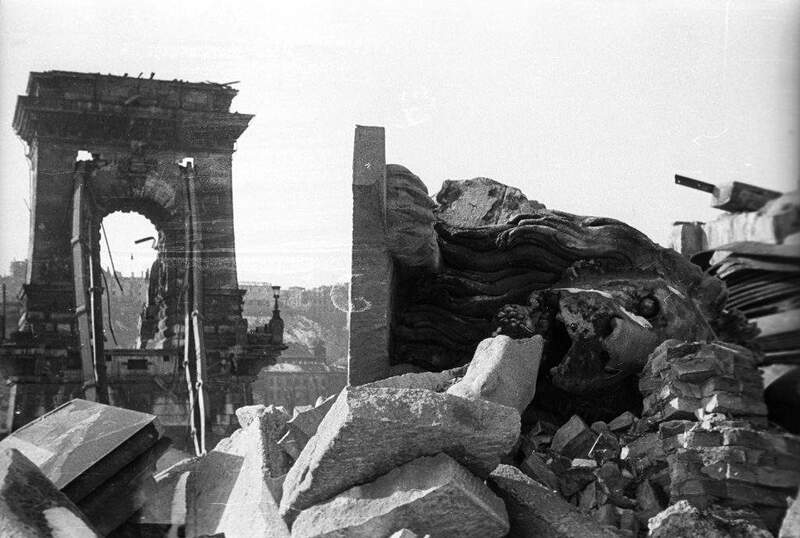 This prime example of the Classicist architecture was destroyed for no reason in 1948. You can see the Stein Palace with its towers and mansard roof, which became later the Ritz Hotel. Today, you will find the Intercontinental hotel in its place. 5) This is Clark Ádám Square in 1902. 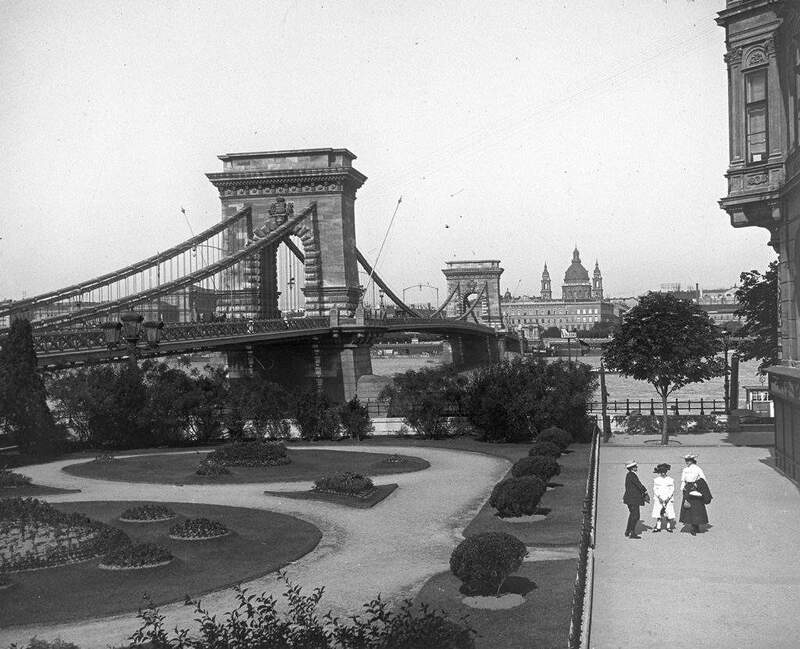 The towers of the Basilica are peeping from behind the Gresham Palace on the Pest side, with three people talking in the small park in the front. 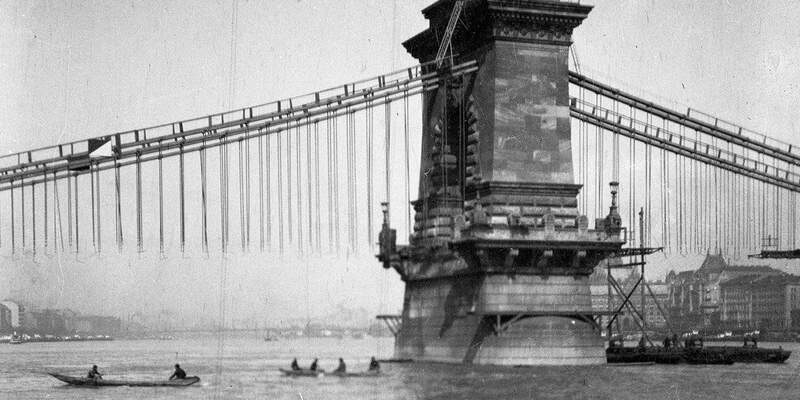 We suggest taking a closer look at the wooden handrails of the Chain Bridge, which were replaced in the 1910’s. It is nice to see that the small park is in perfect order; there is not a single piece of litter on the ground, or a graffiti anywhere. 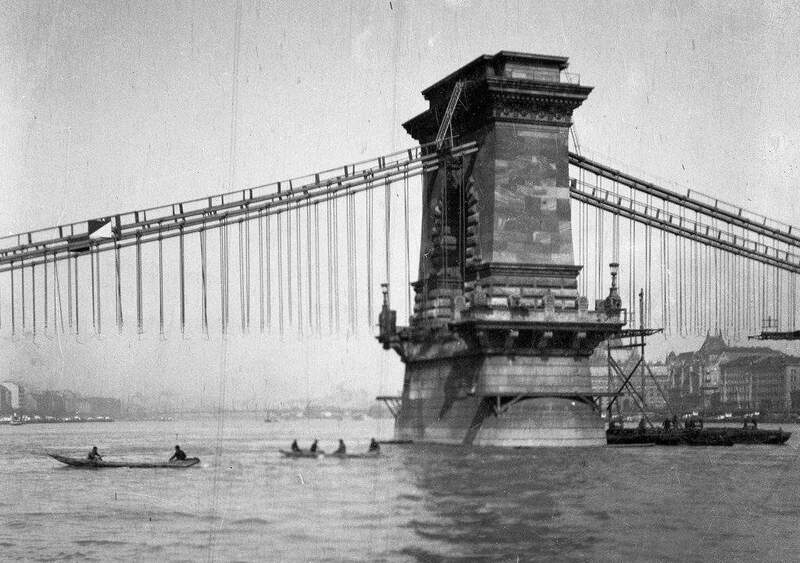 6) This shocking 1914 state was not brought upon by the war, but by the reconstruction of the Chain Bridge, namely the strengthening of the iron structure. The weight of the new structure is almost 2.5 of the previous, but the vertical pillars are much less in number. 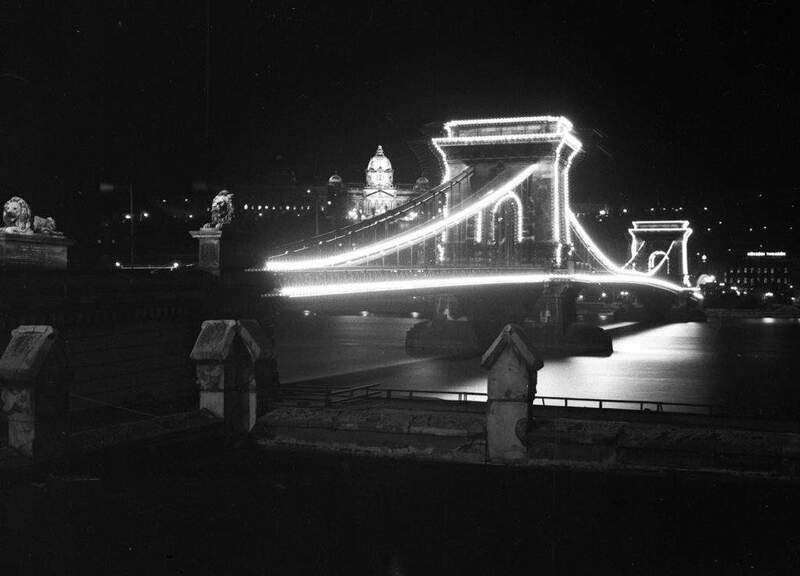 7) The Chain Bridge and the Royal Palace were lit up with floodlights on the occasion of the 1938 Eucharistic Congress. 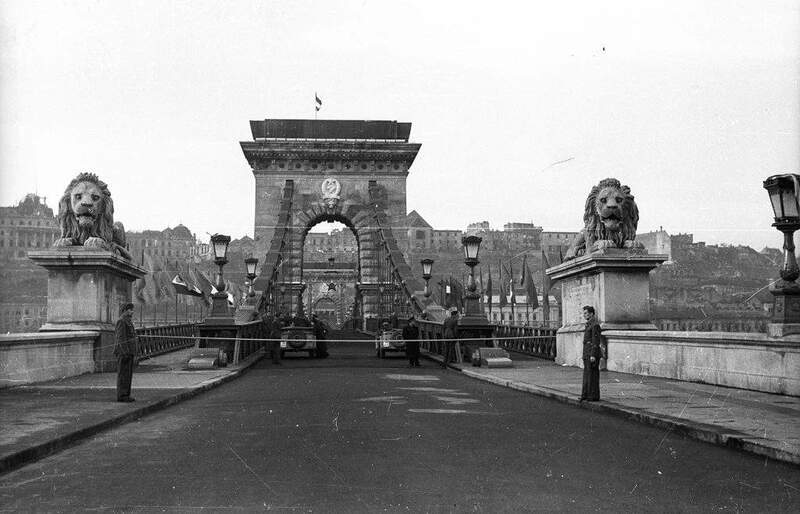 8) Heartbreaking view of one of the lions guarding the bridge and the bridge itself which was blown up and has collapsed into the Danube, in 1946. The reconstruction work was finished only in 1949. Thanks to this, the passageways on the piers was expanded to 6.5 metres from the previous 5.5 m, so that the bigger vehicles could fit. 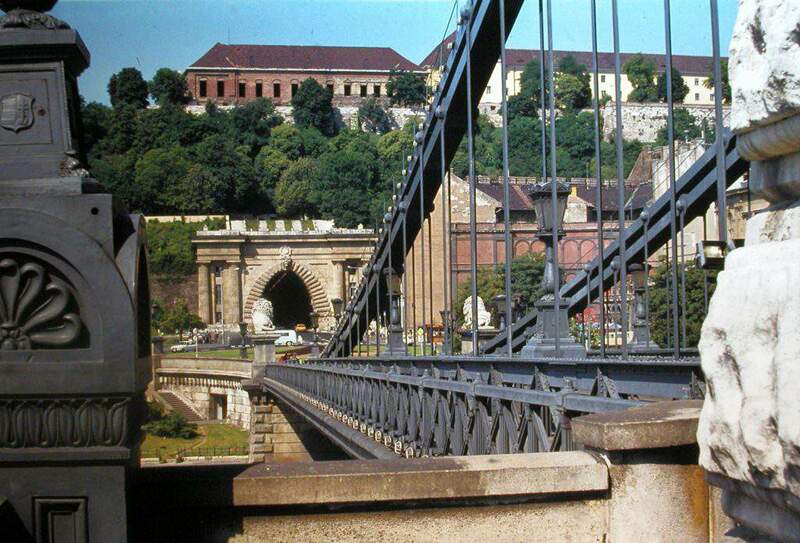 9) The handing over of the renovated bridge in 1949, with the ruins of the Buda Castle in the background. This is when the toll houses were dismantled. Several pieces of the old bridge (which has fallen into the water) were reused and recycled. The snow-white Rákosi coat of arms, which has replaced the historical ones everywhere, is visible on the pier. 10) In the seventies, the bridge looked a lot like the one we know today. There were no renovations since the one in 1986-1988, up to this year. In the background, above the Tunnel, you can see the Sándor Palace. Its renovation was finished by 2002, and now it is used as the residence of the head of state. Previously, it was the prime minister’s residence.